Disney Mickey Black/White/Red Paper Pack 12"X12" 10 Sheets - EK SUCCESS- Mickey Mouse Paper Packs are the ideal way to add a special touch to your vacation pages, invitations, cards, and much more. 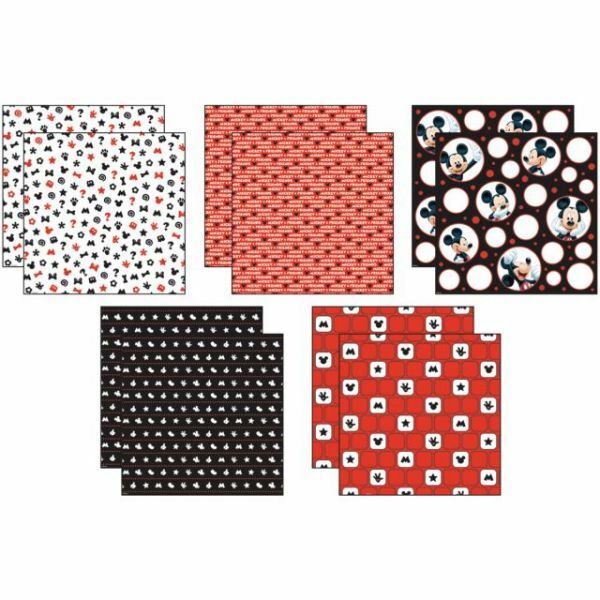 Each package contains 10- 12 x 12 textured papers, all with a red, black, and white Mickey Mouse theme. Acid Free, Lignin Free. Made in China.